Sometimes when writing a novel, you have to kill your darlings. And this was the case for me with Past Imperfect. Ana Espinosa-Lawson is one of my favorite characters in the series. She’s morally gray and goes through quite a journey to find her own happiness. One of her flaws is her skepticism. She doubts Miles’s ability to time travel frequently and causes chaos as a result. In this flashback scene, Ana, whose personality was inpsired somewhat by my favorite dubious character, Dana Scully, shows us just how skeptical she can be. Friday, October 31, 2014 • 957 p.m.
“That’s what makes it good,” Monica said. She stuffed another handful of popcorn into her mouth. “Yeah, but I’m taller. Sorry Shaq, but you’re stuck with the freakishly large feet for life.” Another handful of popcorn landed in Ana’s hair as Monica cackled at her own joke. A well-timed pillow strike cut off Monica’s laughter and the two wrestled until the bowl of popcorn spilled onto the floor. “What are you girls doing?” their mother, Julia, shouted from upstairs. “Just watching a movie, Mamí!” Ana yelled. “Yes, Mamí,” Monica said sweetly. “Let’s just watch the movie,” Monica said. “Yeah, but it’s my pick, so you’re stuck with it.” And she pushed play. Ana still couldn’t suspend disbelief enough to get into it. This girl gets bullied and she discovers she has telekinetic powers? Yeah, right. 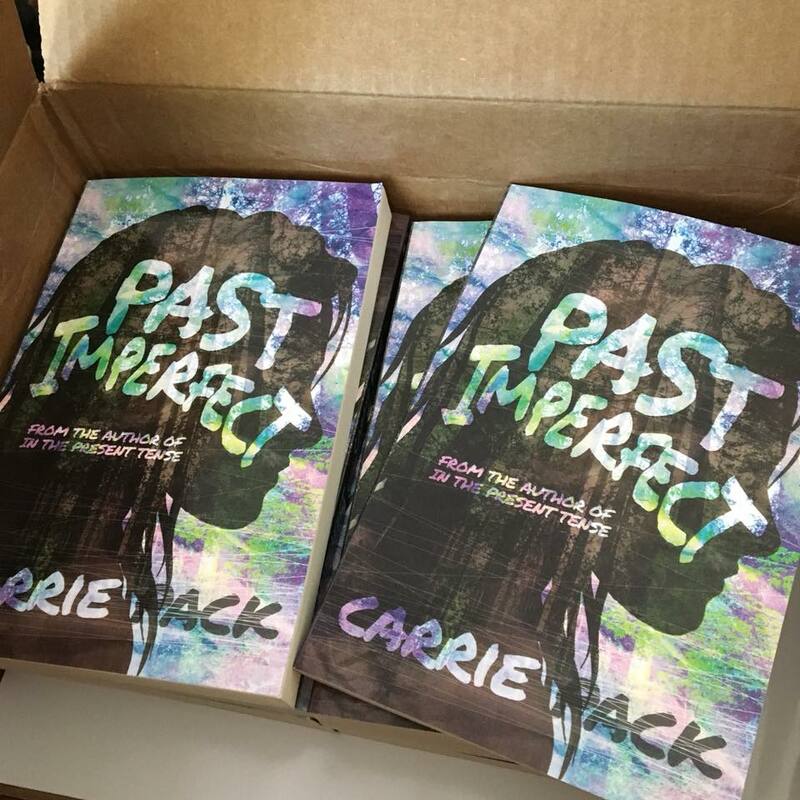 Past Imperfect comes out this Thursday and I hope you’re as excited as I am. If you haven’t gotten into the award-winning In the Present Tense duology yet, what are you waiting for?